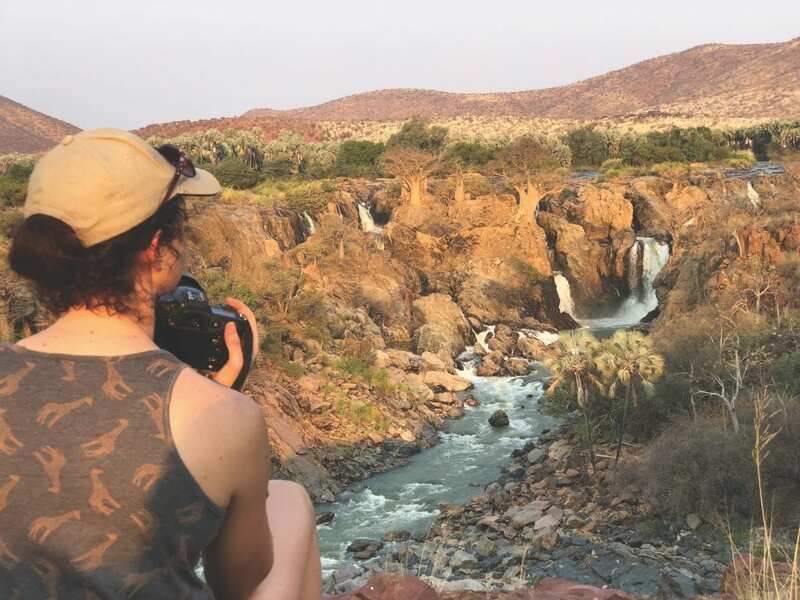 According to Hazel Milne, Programme Co-ordinator, explained that Eco Awards Namibia is a certification program that rewards responsible tourism in line with international sustainable tourism standards. 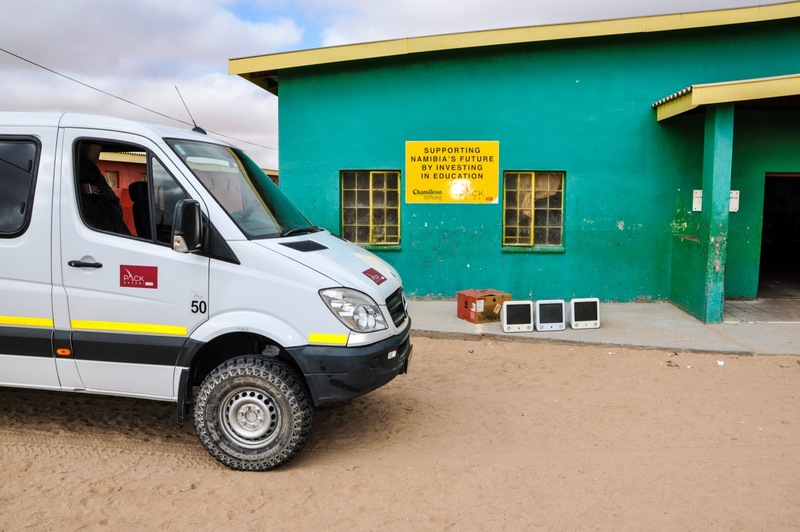 These assessments are tough on participants and achieving high scores can take years of adapting business models to align with the criteria set out by Eco Awards Namibia. 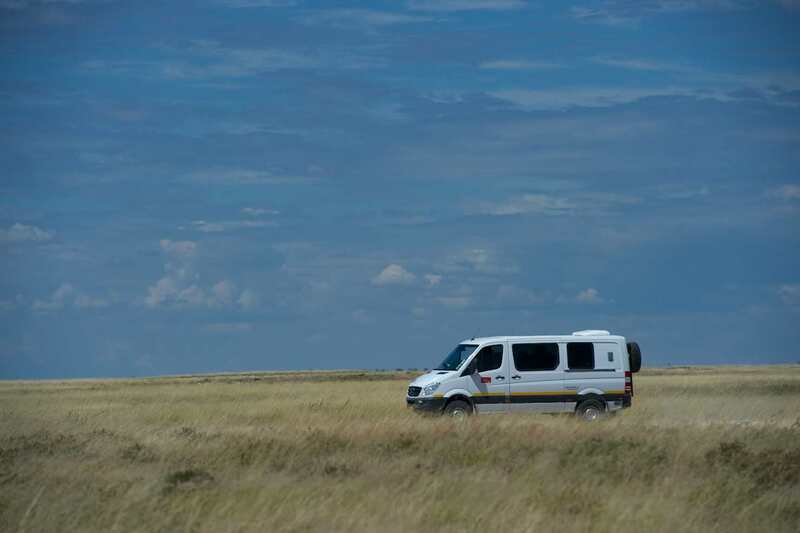 Hazel recently said that Pack Safaris achieved their 81 per cent score by “just doing what they do”, pointing out that the company had already implemented many sustainable practices. Hazel noted that by achieving a first time score of 81 %, Pack Safaris has set a high benchmark for others in the industry to follow. 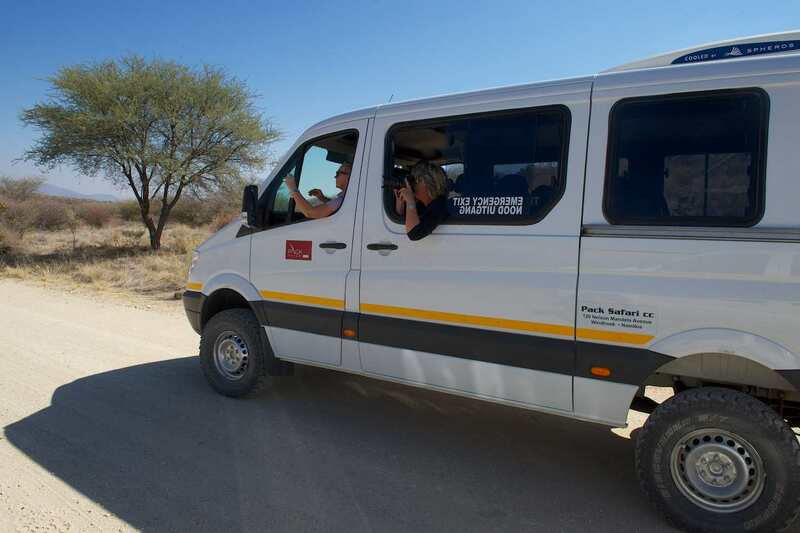 Carsten von Lüttwitz, Marketing Manager at Pack Safaris explained that when the company was approached by Eco Awards Namibia to participate in the pilot programme for tour operator assessments “we were 100 % ready”. He noted that the company was confident that it had already implemented a number of sound sustainable practices within its business model and that the assessment would reflect this. Q: What prompted Pack Safaris to implement ‘green or sustainable practices into your business model, even before you were approached by Eco Awards for assessment? When did you first decide to, and implement, sustainable practices in your operations? 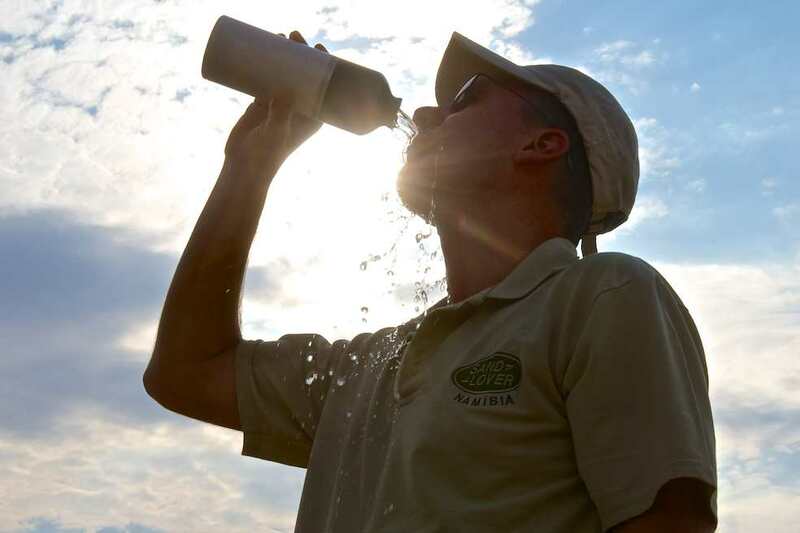 A: Being Eco-friendly has always been of utmost importance since the founding of Pack Safari in 1995. Peter Pack lived in Germany in the 1980’s, a time when a new environmental awareness in the society had evolved and this had a large influence on him. He made it his goal to implement ecological and sustainable practices in his life since then which naturally included his business. Cultural tour with Pack Safari. A: Our focus has always been to provide the best possible and sustainable service. We have not placed effort on comparing ourselves with others in the industry. It is our hope that all operators will follow suite and start implementing similar sustainable practices. Q: You achieved a remarkably high score – 81% – what made this possible? A: There was a combined team effort between employees and employer to make these results possible. 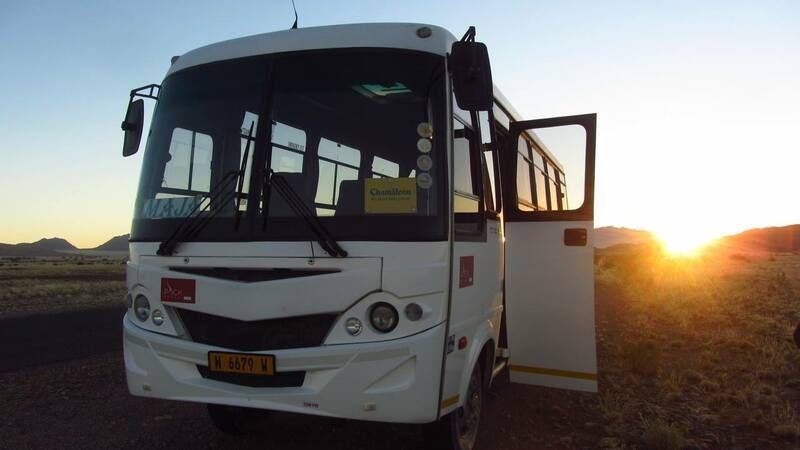 One of our projects included replacing plastic water bottles with aluminium bottles for our guests, as well as providing water containers in the busses. Although the initial investment is high, in the long run we accomplished ecological rewards along with reduced costs to the company. Additionally we encourage printing less in the office, saving paper and cartridges which has a duel reward in saving money for the company and achieving sustainable results. 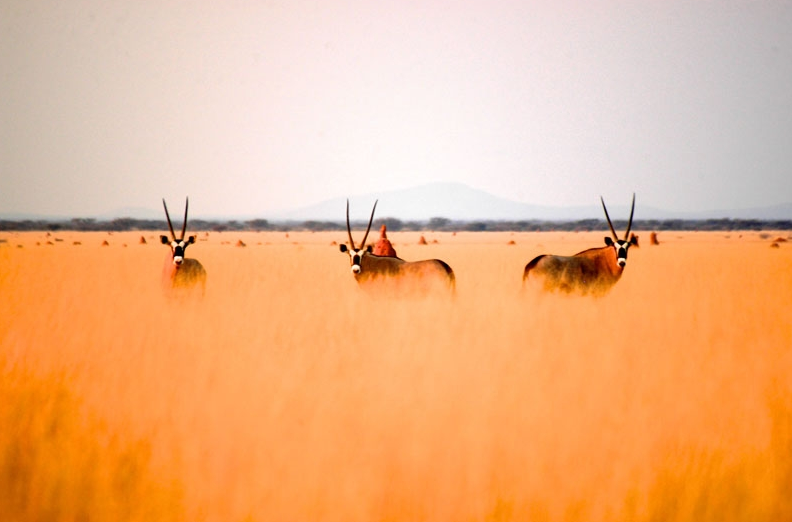 Namibia’s magical colours. Photo ©Pack Safari. Q: And how will you promote your accreditation locally and internationally? 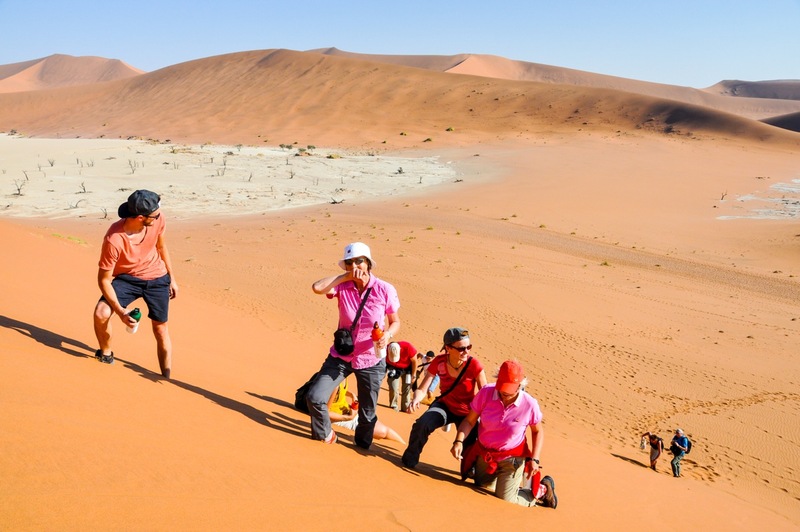 Why should local and business partners and potential visitors to Namibia feel about Namibia’s tour operators who implement sustainable practices? Why is it important to achieve such accreditation? A: We will promote a bit via social media. This award proves that we are in line with our company policy to be an ecologically sustainable business. Q: What other international / national best practices have you aligned your operations with or have you pledged to support? Why? 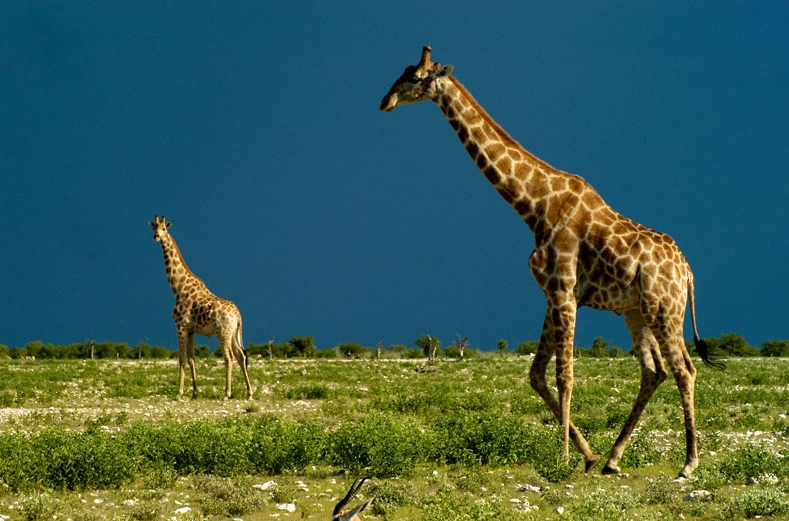 A: Pack Safari is a member of ATTA (Adventure Travel Trade Association). They promoted the TAP (Travellers Against Plastic) project. We immediately accepted and signed the pledge and implemented. 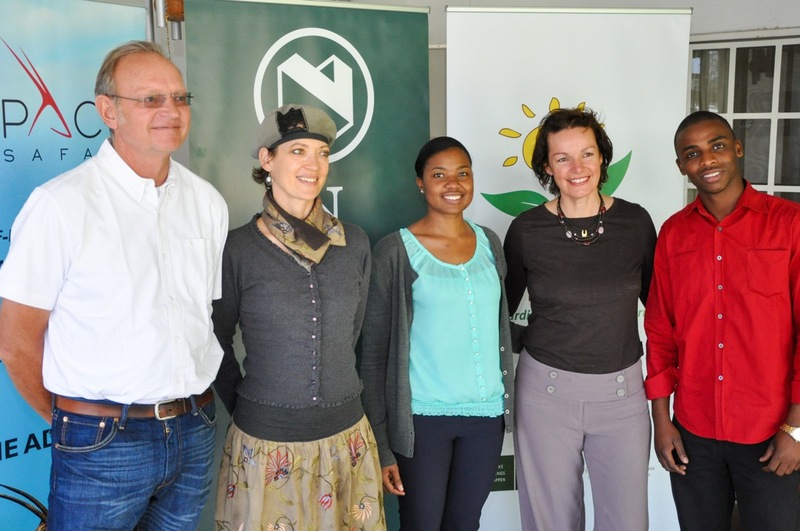 We also joined the European TourCert which is the European equivalent to the Namibian Eco Awards. Non-European operators can commit themselves to work according to their ecological standard. 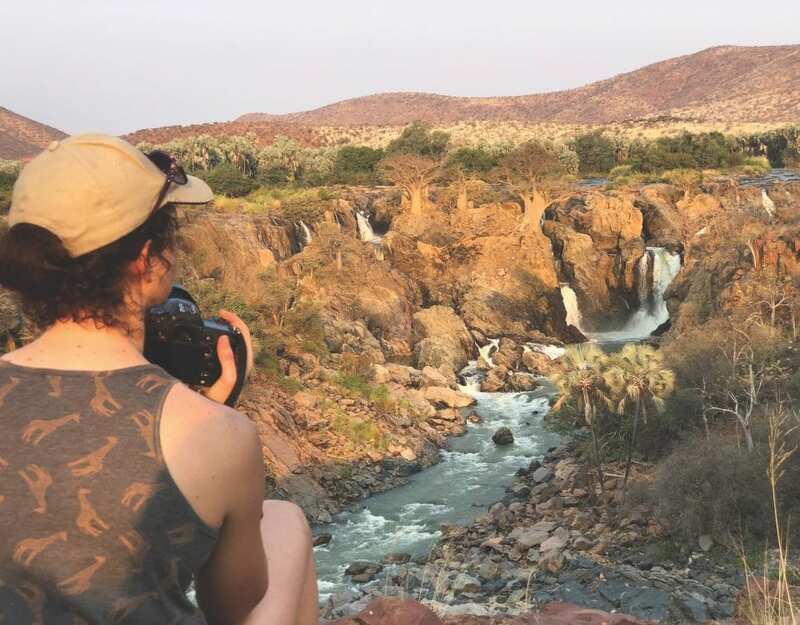 Q: The new criteria for tour operators applied by Eco Awards Namibia are based on a rigorous process – what was the hardest part of the assessment for you? A: In our opinion the criteria of the Eco Awards is an essential and natural requirement for all inhabitants of this planet. We have to take responsibility for our planet now. We borrowed this planet from our children. We learnt a great deal from the assessment and are looking forward to improving where-ever necessary and possible. 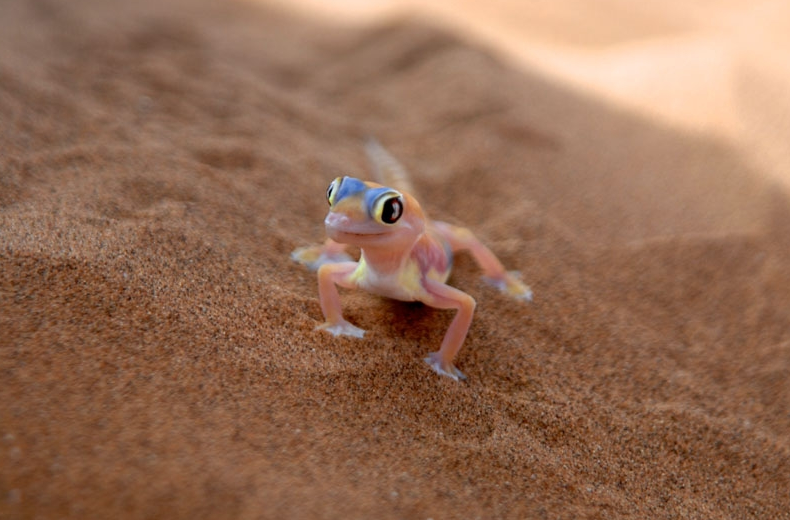 Tiny wildlife thrive in the Namib desert. Photo © Pack Safari. Q: The main criteria subsections were a) sustainable management b) social and economic benefits c) cultural heritage benefits and d) environmental benefits. Please briefly talk about each sub-set and how it applies to your operations. A: If approached correctly, sustainable management, in our opinion, is a fairly easy process if seen as a long term and consistent process. Nearly always sustainable is also economical. The social aspect is of great concern in Namibia as there is a tremendous deficit in education. We all need to make a concerted effort to invest in this area. 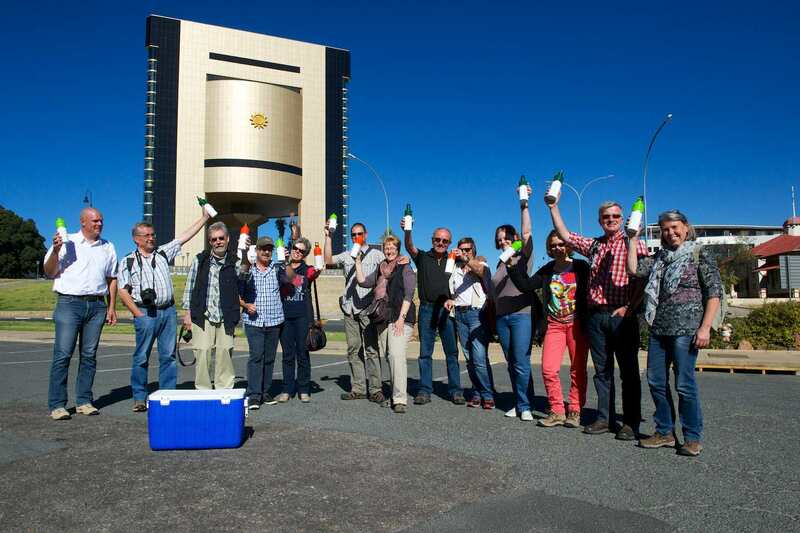 Cultural heritage in Southern Africa and Namibia is very unique and we take great pride and joy in being able to share this with our guests from other countries. Q: What is your message to other Namibian companies within your industry? How would you encourage others to follow in your footsteps? 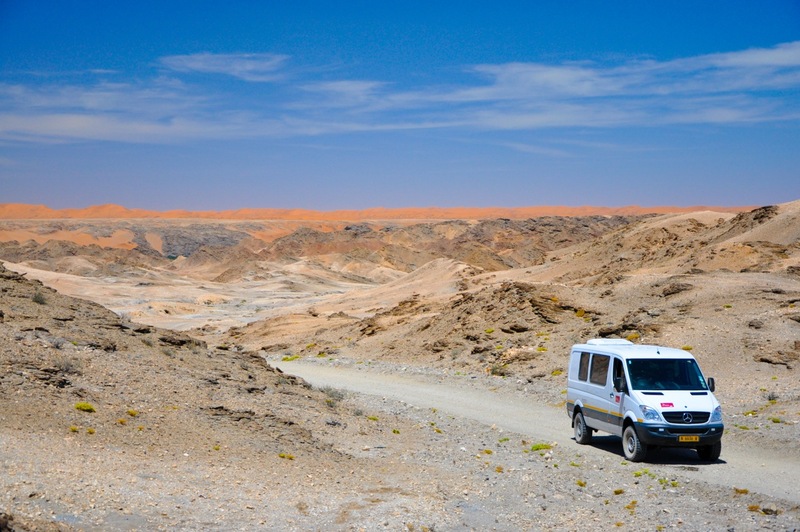 A: Pack Safari feels that this should be a compulsory process for all Namibian companies . We encourage others to implement sustainable practices, as this is not only better for the environment but can also reduce costs in the long run. Q: What are your plans for the future – in what way do you want to see Pack Safaris evolve and grow? A: We envisage Pack Safari’s growth to focus on social responsibility whereby we can work towards preserving our natural heritage for our future generations. As an example; we personally visited the Fish River Canyon in August after a long time. We were shocked to see the huge stone cairns packed up along the Canyon. 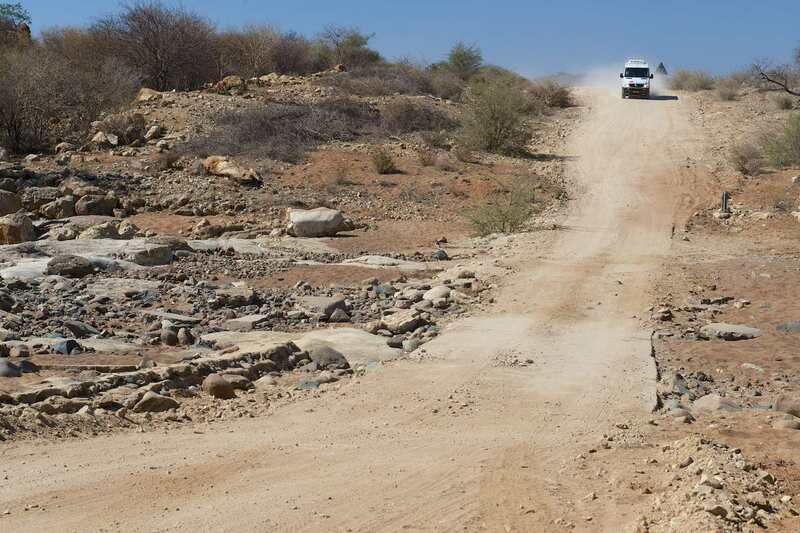 Our aim is to encourage all our guests to remove at least one stone to eradicate these unsightly cairns and encourage our fellow tour operators to do the same.